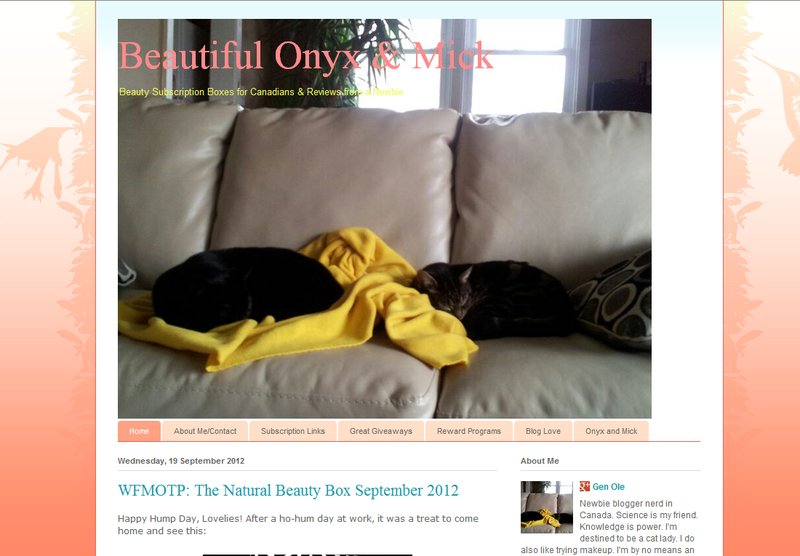 This week's fabulous blogger is Gen from Beautiful Onyx and Mick. In her blog named after her two kitties, Gen gives us a lot of great reviews of subscription boxes! Who doesn't love that? I actually subscribed to The Natural Beauty Box after reading her review of this box. I had not heard of it before this! I have also seen other boxes on her blog that I didn't know existed like The Soap Box (check out her GIVEAWAY here) and The Bubble Box and there was even a candy box and a more expensive makeup subscription box. Isnt her blog great! Im living vicariously through her beauty box reviews!